First, let’s get one thing straight: we want you to stick around with us for a long time. But, including FUUFHC in your estate planning can be a meaningful way to ensure that the mission of FUUFHC continues well into the future- without having to cut into your savings or living expenses today. While your annual pledge remains critical to provide FUUFHC’s operating expenses year-to-year, long-term giving can also make a big difference to FUUFHC. Beneficiary of a life insurance or annuity contract. Beneficiary of an IRA or other investment account. Beneficiary under a Charitable Gift Annuity. Remainderman beneficiary under a Charitable Remainder Trust. The Endowment Fund, which helps ensure long-term stability. Endowment Fund donations help ensure the congregation has an ongoing source of revenue. 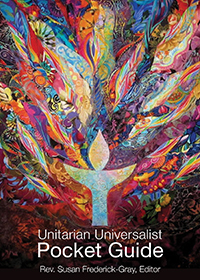 Per the terms of the Endowment, donations are placed in an investment fund that is managed by the UUA and the congregation benefits from the interest of those investments. The General Fund, which gives flexibility. General Fund donations allow the congregation greater flexibility in deciding how to use the funds to meet immediate and long-term needs. For example, donations to the General Fund can be used to build a new structure, make repairs, sponsor a program that supports our mission or more. Inclusion in the Vera Hall Dodd Circle is voluntary and on the honor system. There will be no need for the amounts or types of gift to be disclosed, and no documentation of the gifts will be required. Just let a FUUFHC Board Member or Finance Committee member know if you have included FUFFHC in your estate plan. The Vera Hall Dodd Circle was created to increase awareness of our planned giving program and to recognize and thank the individuals and families who include FUUFHC in their estate planning. Not only does FUUFHC benefit from planned giving, but you could too. It costs you nothing now. You can retain control of and use your assets during your lifetime. You can modify your gift plan if your circumstances change. You or your family could receive a lower tax burden. Consult with your tax advisor to evaluate how this may apply in your situation specifically. Most importantly, it helps ensure that your fundamental values and priorities continue to be supported, even after you are gone. You should consult with an attorney when writing a will, but FUUFHC can provide some guidance to assist you and your attorney. Our website will be updated with detailed guidance.